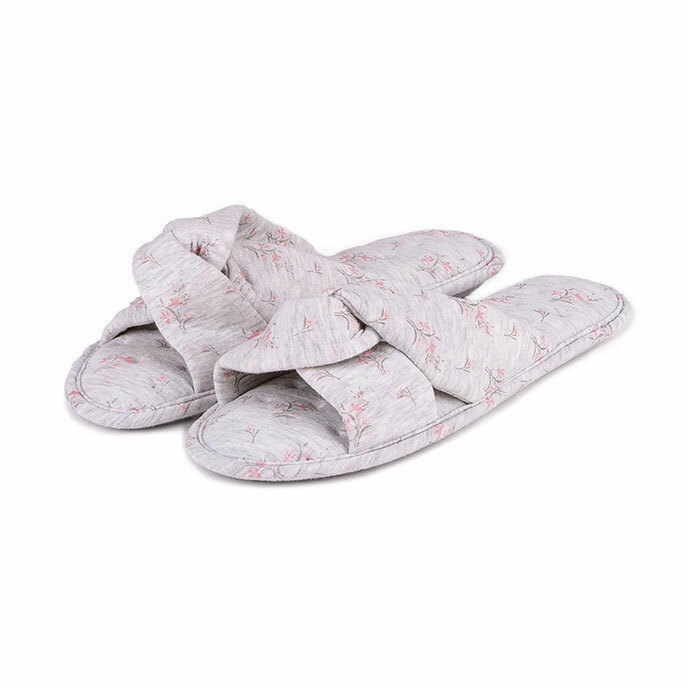 The Floral Jersey Cross Strap Slippers are ideal for spring, with our unique PillowStep technology for added support in the heel, arch and toe. Complete with a low profile Flat Sole and a pretty knotted finish, they provide great all-round support whilst looking stylish. Hand wash only. Do not machine wash, bleach, iron, dry clean or tumble dry.